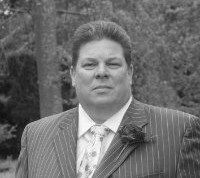 Mark is a highly experienced multi-disciplined national sales leader with an exceptional track record in the delivery of mortgages, regulated protection, general insurance sales and customer satisfaction via retail networks and intermediary distribution. With a deep knowledge of financial services and regulation, Mark possesses an ability to predict both the regulatory landscape and consumer needs. He has Approved Person Status with the FSA. Mark has over 25 years experience in banking and financial services and is a sales and leadership specialist. He was Director of Retail Mortgages at Santander, responsible for Santander, Bradford and Bingley and Alliance & Leicester mortgage sales and regulation including the sales force(s). Previous to that was National Sales Director at Barclays responsible for retail mortgage sales, intermediary mortgage sales and Ekins surveyors, including their sales forces. A builder of businesses – both as new starts and recovery models – to a strategic plan, meeting and exceeding the agreed performance criteria whilst delivering for the customer. A strategic problem solver, excelling at dealing with complex issues resulting in decisions that have a significant positive impact for the business, customers and staff. Mark specialises in the creation and implementation of leadership and people development strategies that change culture, increases employee engagement, significantly raising skill levels and customer experience scores, whilst producing excellent business results. He operates as a bespoke consultant to a number of major banks delivering bespoke, specialised solutions to specific challenges.